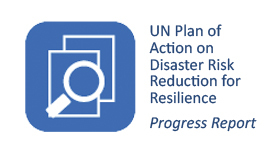 In December 2018, UNISDR Regional Office for Asia and the Pacific (ROAP) convened and organized a number of important regional events in line with its role as a coordinator and enabler of progress towards reducing the threat of disasters in the region. One was the second meeting of 2018 of the ISDR-Asia Partnership Forum (IAP), which is a regional platform for coordinating implantation of the Sendai Framework and the Asia Action Plan 2018-2020. The two-day meeting (11-12 December) brought together 100 delegates from 20 governments, stakeholder groups, intergovernmental organizations, the United Nations and international organizations. Discussions focused on three key issues identified as areas of concern at the 2018 Asian Ministerial Conference for Disaster Risk Reduction in Mongolia: localisation of disaster risk reduction, disaster-induced displacement, and ensuing inclusivity. You can read more about the December IAP here. 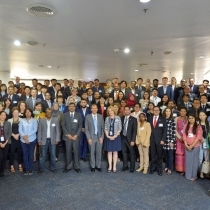 The second gathering was the first regional workshop dedicated to accelerating progress towards achieving Target E of the Sendai Framework, which call for increasing the number of national and local disaster risk reduction strategies by the year 2020. The two-day Target (e) workshop (13-14 December) had over 115 participants from 20 governments, intergovernmental organizations, national and regional UN entities, stakeholder groups and international organizations to review progress to date and chart ways forward. For a more about the workshop, please read our news brief. In December, ROAP also conducted the first ever workshop on the development of disaster loss databases for cities and local authorities. This three-day workshop provided hands-on-training to local officials on the use of the DesInventar Sendai information management system to develop their own disaster loss databases. The workshop hosted participants from Kathmandu, Nepal; Ulaanbaatar, Mongolia and Dhaka, Bangladesh. The UNISDR Regional Office for Asia and the Pacific covers 27 countries and 16 territories. It has sub-regional offices in Suva, Fiji for the Pacific and a liaison office in Kobe, Japan. 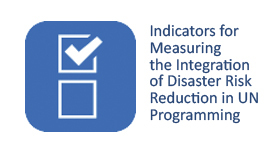 Our regional office engages in the following tasks and activities to support international efforts for disaster risk reduction (DRR) and HFA implementation. 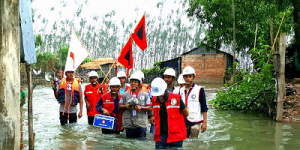 UNISDR news from the Asia-Pacific region. 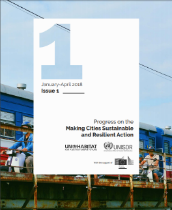 UNISDR publications from the Asia-Pacific region. 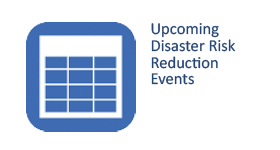 Disaster risk reduction meetings and events in the Asia-Pacific region. List of evaluations of our Asia-Pacific office and responses to them. Here you will find our regional offices key reports, including annual reports and progress in activities in the Asia-Pacific region.